Where was Toad Town? Was it an African-American community? This brief article suggests that it lay somewhere between Wilson and southern Nash County. Wilson Times, 3 October 1911. 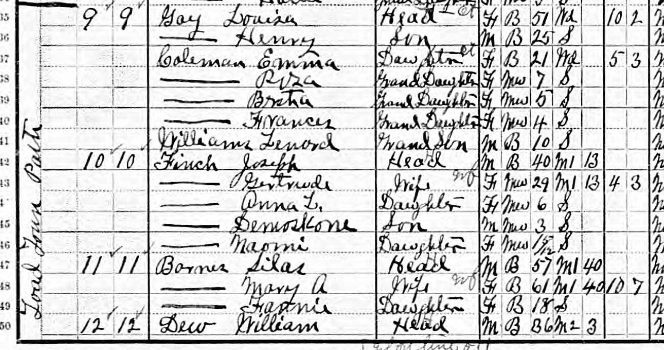 In the 1910 census of Wilson township, Wilson County, a handful of families were reported living along Toad Town Path, which was in the vicinity of County Line Road and Finch Mill Road, perhaps west and north of Grabneck. I have found a couple of cryptic references to Toad Town in pseudonymously penned opinion-editorial pieces published in Wilson newspapers. A piece in the 12 April 1893 Wilson Mirror warns that the “Toad Town syndicate is in danger of collapse” from the expense of improvements and the failure of the electric company to extend lights to the area. Was Toad Town, then, a speculative real estate development? And if so, was it intended to displace an older community? “Toad Town” is not a name to attract well-heeled investors. In the 3 February 1911 issue of the Wilson Times, a writer queries whether a man could “distinguish the difference between the milky way and a Toad Town hog path.” If Toad Town had been a planned garden suburb, it certainly failed. ← The colored boy is cured.